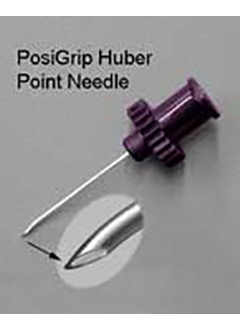 Norfolk PosiGrip Huber Needles NV-PG Series. 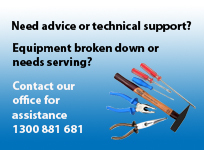 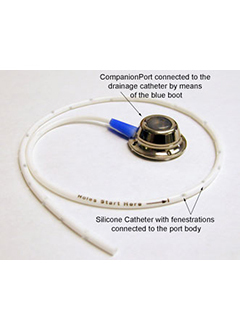 ESSENTIAL for all port ACCESSING to PREVENT septum CORING. 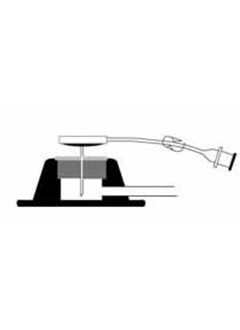 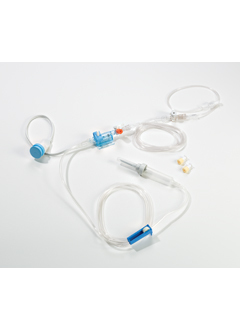 PosiGrip needle is a straight Huber point needle that attaches directly to a syringe , ideal for bolus injection, flushing, blood draws, and aspiration. 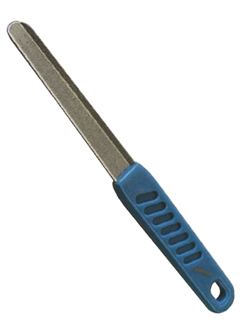 The needle hub is color-coded hub for easy needle gauge identification. 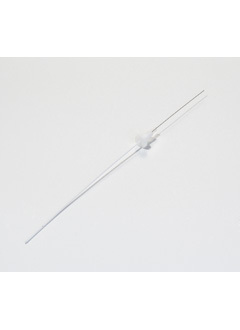 They are single use only and available 12 per box in various needle gauges and lengths.